After yesterday, we weren’t sure what the bite would be like if the white perch were still in the area. We got on the ice early finding that the water had come up a bit since the day before. 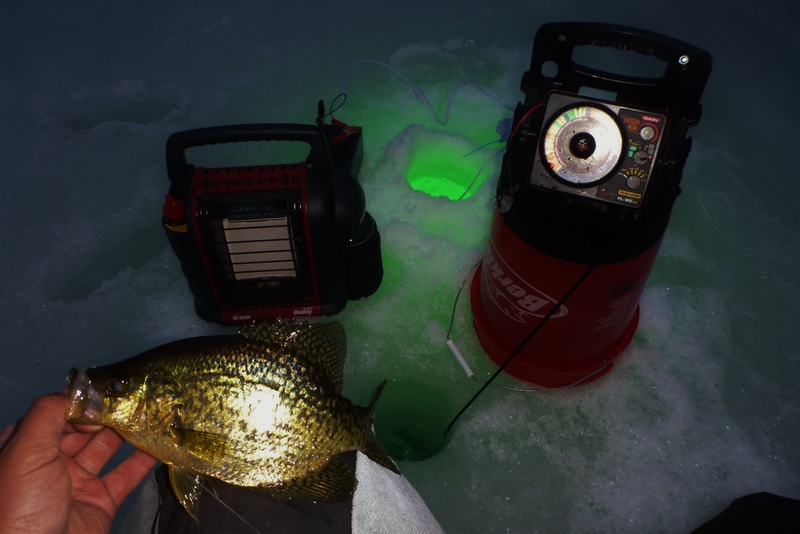 We started the day off in the dark by setting up the hydro glow in the area that the crappie were yesterday. The bite was very slow until just before sunrise. We decided to break from the light and try to locate the feeding crappie as the sun broke. It took about 10 minutes to realize that we weren’t set up on the right spot but it all worked out fine by the end of our day. For the next 6 hours, we worked through three different but close weed patches over and over. 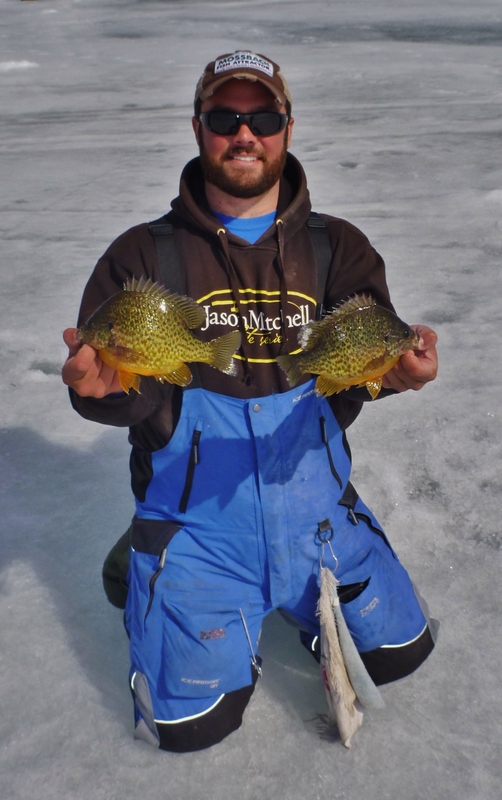 Within each, we identified a hole or two that always provided a crappie first drop. Letting them rest after briefly fishing was key to consistency. 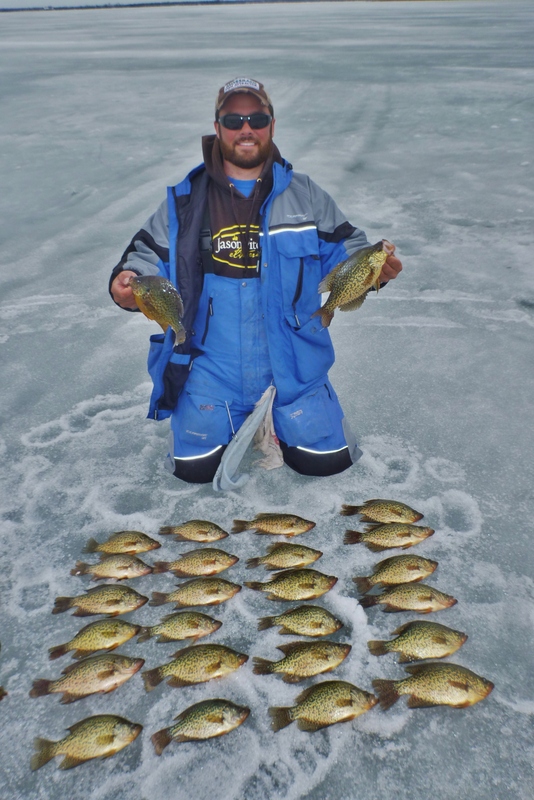 At 1 pm, it was time to pack it in for the day with limits of crappie and some nice pumpkinseed on the side. While the fishing was great, the highlight was not catching white perch!